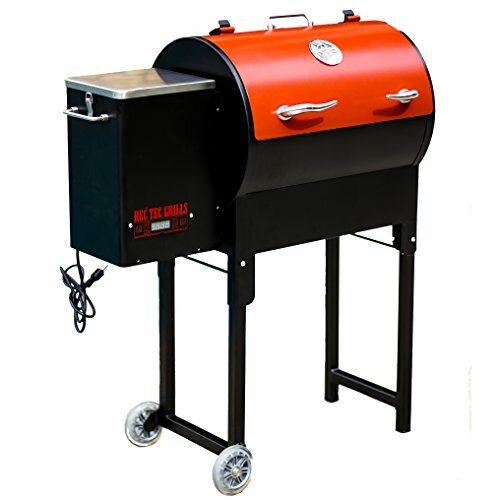 The Rec Tec RT-300 Portable Pellet Grill is the same great pellet grill as it’s full size brothers but is designed to collapse and be wheeled around for tailgating and outdoor adventures. The frame is lighter, the legs collapse to wheel the grill behind you, and the base is smaller in stature. Overall we recommend this portable pellet grill and found very few negatives to complain about. 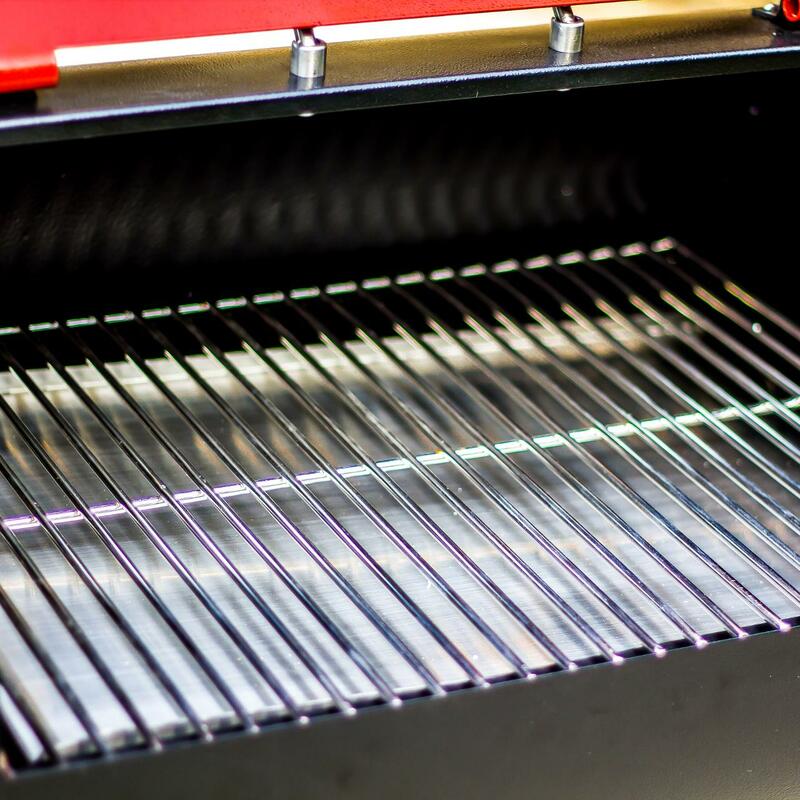 If there is one thing we could say is a negative is that it does not carry the same 5 year warranty of the big grill, it only comes with a 2 year warranty from Rec Tec. The Rec Tec Mini Portable Pellet Grill is packed with features and is a great "set it and forget it” style grill for outings. A portable, simple to use, well designed pellet grill with plenty of user friendly features. The Rec Tec Portable Grill uses their Smart Grill Technology Controller which is controlled by a pressure sensitive touch pad. The touch pad’s on/off switch controls the automatic start-up mode and auto shut down mode of the grill. 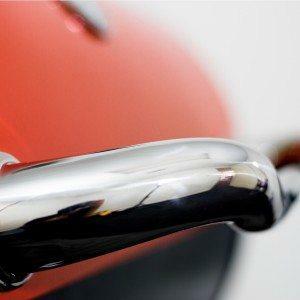 It also controls the cooking temperature which ranges from 180°F to 500°F (with 5 degree increments). A unique feature of Rec Tec is their pellet prime touch feature. When pressing the prime touch control the fuel feed system will turn and increase the amount of pellets being fed for fuel. This can be used to blast an extra smoke or keep the temperature consistent when opening the lid of the grill. Because of the Rec Tec technology and attention to detail, the mini pellet grill maintains it’s cooking temperature. Upon setting the cooking temperature you can view the temp on the digital LED readout on the control pad. The auger pellet feeding system and digital technology keeps the temperature consistent throughout your cook. Customer reviews have advised the cooking temperature stays within 3 degrees of the setting. Every REC TEC Grill is precisely calibrated to produce accurate reliable cooking temperatures when using premium hardwood pellets. 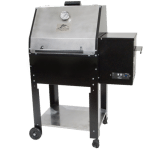 The Rec Tec mini pellet grill has a lightweight frame and an overall weight of approximately 90 pounds. 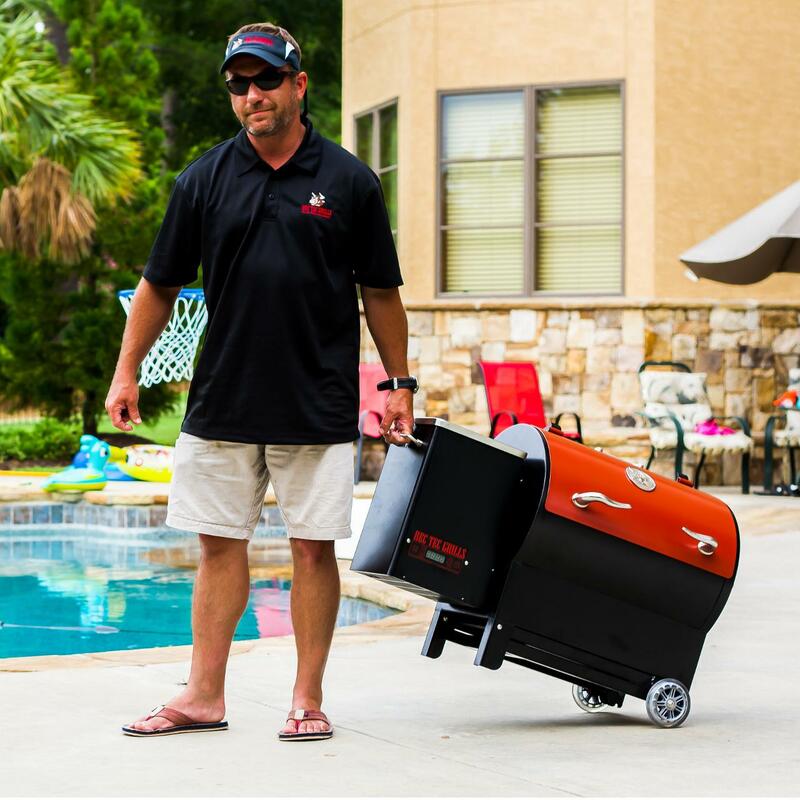 The legs collapse and it comes with a pulley handle system and wheels to make transporting your grill like pulling a piece of luggage. 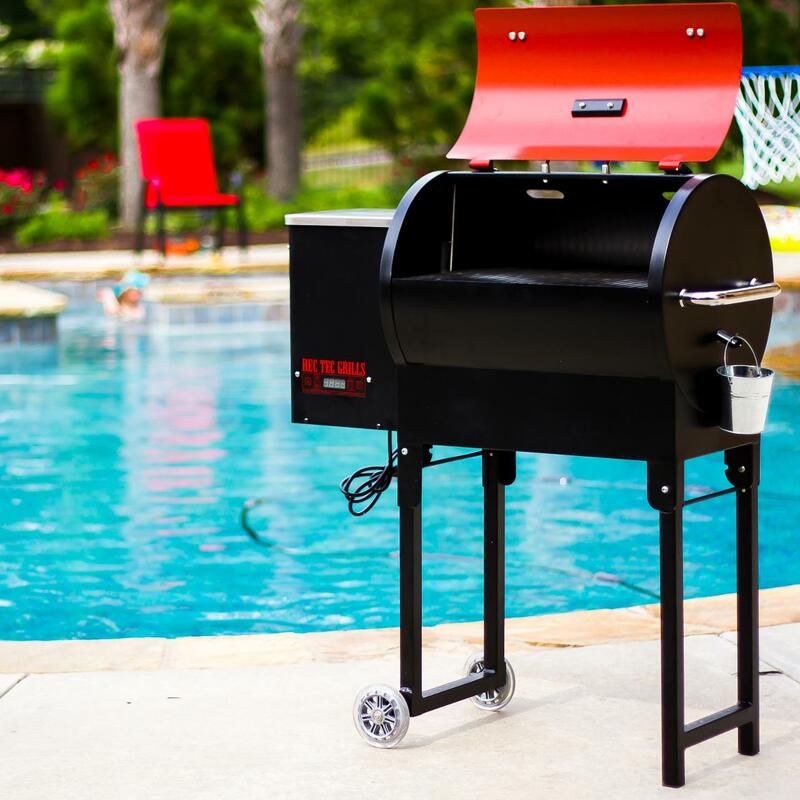 When you are ready to set up, simply lay the bottom flat on the ground, pop the top of the grill open, and start the grill up with the one-touch operation system. 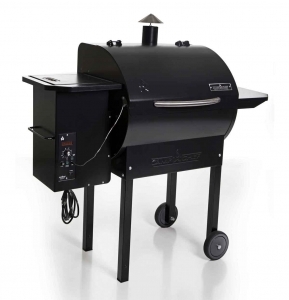 Although this is a mini pellet grill it still has a grilling surface of 341 sq in, which is plenty of space for smoking and grilling. The Rec Tec Mini Pellet Grill is sleek and sturdy. 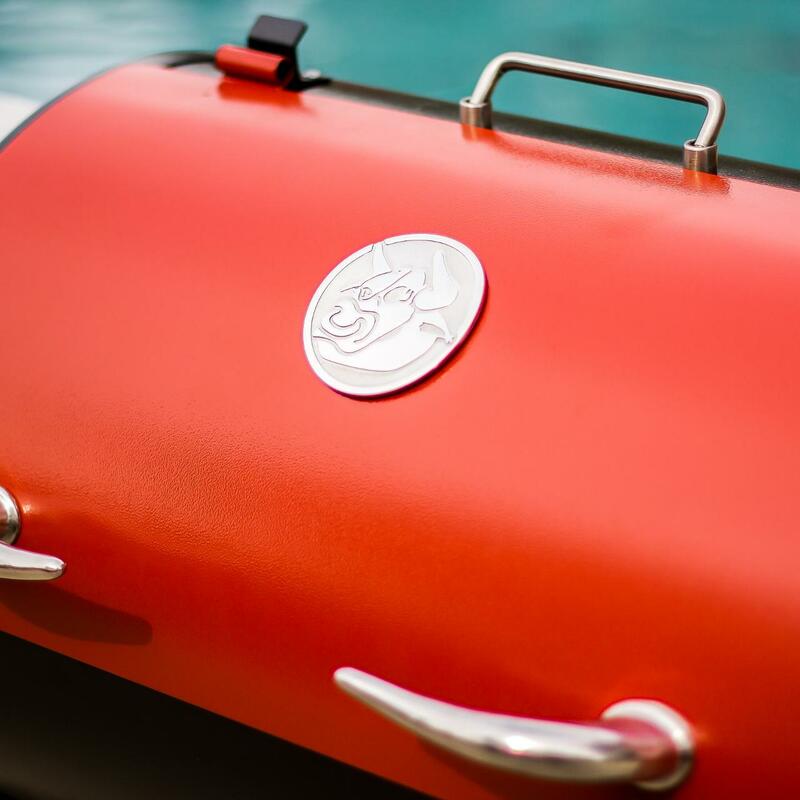 It’s simple to use features, nice design, portability, and excellent temperature control make this an excellent choice for your next outdoor grill.